Car Wars launched with three Division 5 sets. Each one gives you rules, full-color 2-sided counters, a turning key, and two evenly matched car designs. Get one and play. Get 'em all and you've got six cars – host your own Amateur Night! 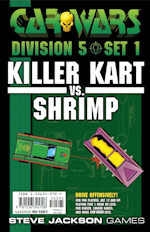 The Killer Kart has launched the career of many an autoduellist . . . snipe with your machine-gun, and discourage pursuers with dropped mines. 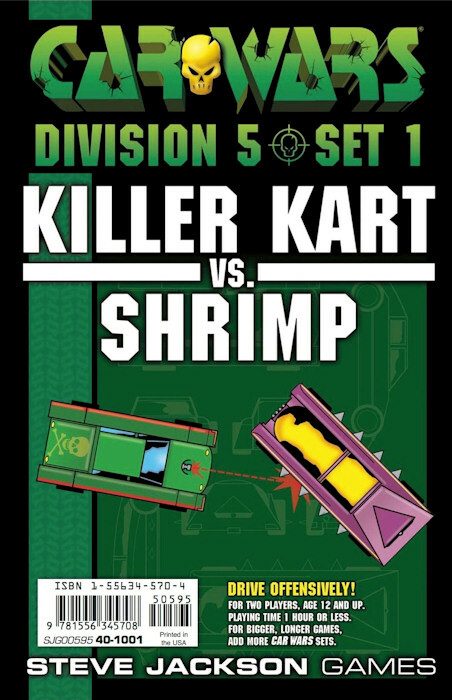 The Shrimp is a lethal subcompact with body blades, a micro-missile launcher in front, and a one-shot heavy rocket in back.